From hidden messages in music videos to the slightest whiff of shade, nothing gets past Stan Twitter. As such, some credence should be given to the widely-circulated rumor that Madonna’s new album is called Magic. The evidence? The Queen of Pop has been using that hashtag on social media since (at least) September. Her team then added fuel to the fire in a newsletter advertising her 2019 calendar. “The coming year promises to be a #magic one for all of us,” the message begins. 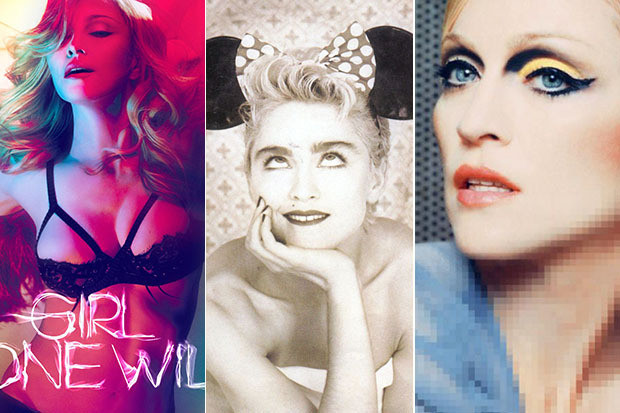 Time will tell if Madonna has been waving the album title under our noses for months. I’m just excited that the project appears to be nearing completion. The 60-year-old declared that she was in the process of doing “final mixes” in November and promised a 2019 release in an interview with WWD. The “Champagne Rosé” icon might have even shared a new lyric in a recent Instagram post. “Wild is the world… and lonely is the path,” she captioned a studio pic. Could this be a sneak peak of the Mirwais-produced lead single? See Madonna’s sneaky social media updates below. Do you approve of this title? Let us know below, or by hitting us up on Facebook and Twitter!